I always get excited when December comes along, as Christmas has been my favorite time of year ever since I was little. I guess it's because I always enjoyed getting and decorating a tree, going to Mickey's Very Merry Christmas Party, receiving presents, staying warm and so on. Now that I'm older, I still enjoy many of the things I did as a little kid, but have found the joy of giving presents and making the holidays special for those that are special to me. So, for starters, I'm giving YOU (my loyal followers) a nice little holiday playlist that you can keep open while you're browsing the web for holiday bargains, decorating the house, or doing whatever else you do. Music of the holidays ALWAYS puts me in the spirit and here's to hoping it does the same for you. Tonight, to get myself in the holiday spirit, I went to Epcot to watch John O'Hurley read at the Candlelight Processional (which I am again performing in as part of the Cast Choir... more to come) and watch IllumiNations! 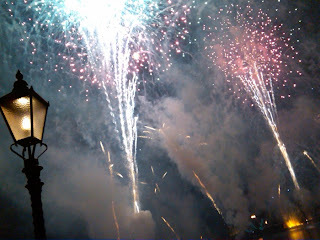 Reflections of Earth's special Peace on Earth finale. If you haven't seen either of these, make it a point to do so! They are both a very special tradition for me and help to get the holidays going in full swing. After, I came home, unpacked the Christmas decorations and went outside to put them up! 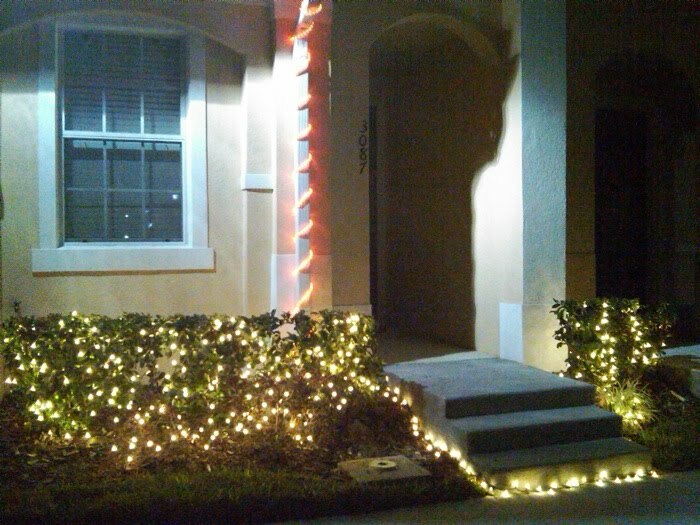 It's my first Christmas in the new house and, although I don't have a lot of room to put up lights, I wanted to make it special. So, the decorations are rather simple, but they work for me. What do you think? Here's to a happy December and a Merry Christmas! Look what I found in NYC! iChat... no really, I do.